What’s STTN? If you’re already a mommy, you would definitely know what it stands for – Sleeping Through The Night. One of the most important things to ensure that our babies are able to STTN is to use comfortable and absorbent diapers. And they are here in the form of Drypers Drynights. I am thrilled that Drypers now have a range designed specifically for night time usage, because as a parent of a young child, I would really love spending what time I have resting instead of changing soiled diapers! Mommies, agree or not? 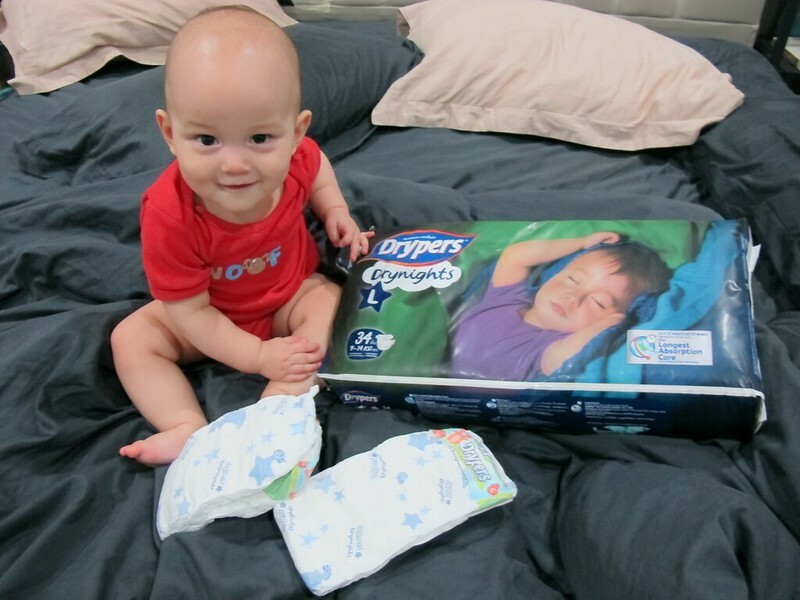 So this new Drypers Drynights is a night diaper that caters to babies aged 6 months above. It’s designed to absorb and distribute baby’s pee with something called Longest Absorption Core, providing up to 12 hours of long-lasting dryness, giving Liam a good night sleep. And it’s not just lip service, Liam has used Drypers Drynights for 13 hours straight actually (sorry I forgot to change his diapers) with no issues. No leakage, no rashes, and certainly no grumbling. The diaper cover is breathable and feels just like fabric while the diaper itself contains four natural plant extracts from Aloe Vera, Chamomile, Olive Extracts and Vitamin E, helping to keep Liam’s skin fresh throughout the night. It’s better than applying moisturiser onto his skin, which he dislikes! The tape is easy-to-fasten and can be refastened multiple times without losing its fit and the generously wide leak guard provides protection against leakage even for a wriggly worm like my son. Most importantly, it’s very comfortable for Liam. He seems unaware that he’s wearing Drypers Drynights unlike another diaper which he desperately always tried to claw off. Of course, the other best thing about this diaper is that it’s really bang for the buck. If your baby is already 6 months old and doesn’t poop every 2 hours anymore, this is the diaper for you. 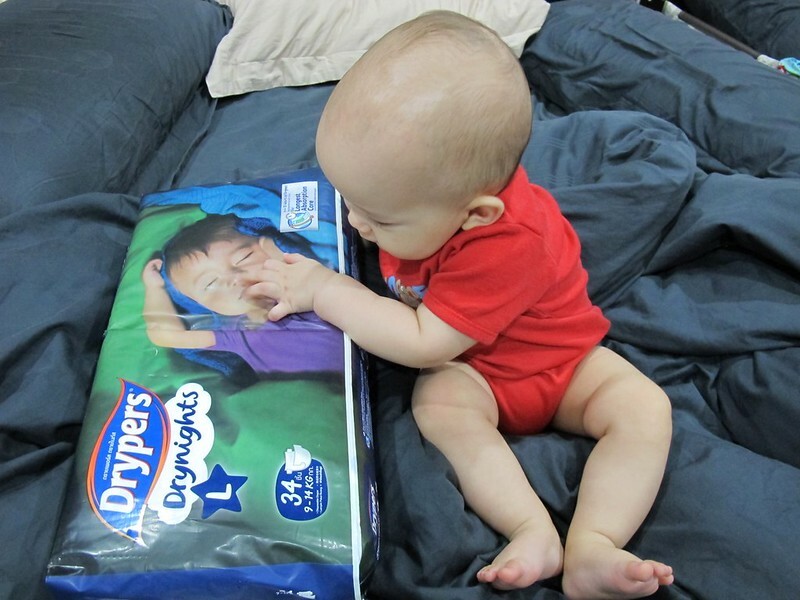 You can now request for Drypers Drynights or any Drypers sample for free just by signing up with Drypers Baby Club here. 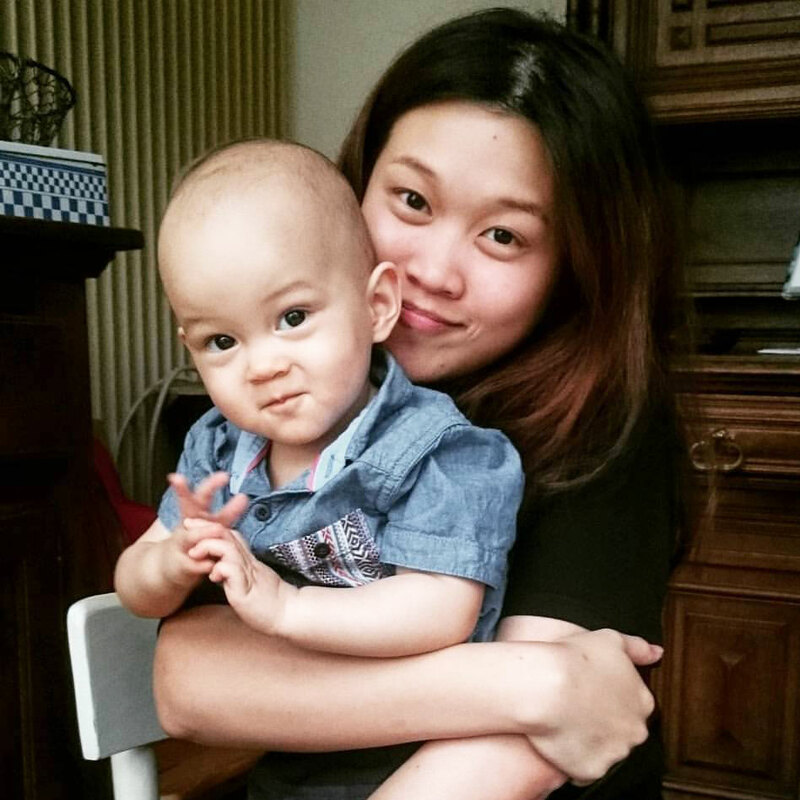 First time parents especially may find the Drypers Baby Club useful as it also offers lots of benefits, from parenting information to customized emails for club members. Join now and you may stand a chance to get a toddler backpack as a welcome gift as well. More information about Drypers Drynights can also be found here. 7 unimaginable ways to eat potato crisps! Nice to read Liam approves. Let us know how he sleeps with these on. BTW, are Drypers biodegradeable? One of the major drawbacks of disposable diapers and underwear is that there is such a large volume of these items used, they aid to landfills filling quickly when disposable diapers are not biodegradeable. Some brands advertise how environmentally friendly thier product is that only when one reads the small print one discovers many such diapers will degrade in a few years if left exposed to direct sunlight. Not exactly what happens in a landfill where each days new refuse is covered with dirt and clay at the end of each day, thus cutting sunlight off from such disposables for the rest of time.